Despite advances in cancer research and treatment, cancer still claims approximately 1,600 lives every day worldwide. That’s nearly 590,000 people a year. In hopes of changing this, Zheng is using the grant to establish the Data Science and Informatics Core for Cancer Research at UTHealth. This facility will have the big data infrastructure needed to identify links between cancer and other diseases. According to Zheng it will advance cancer research by making the latest computational methods to analyze cancer data available to scientists throughout the Lone Star State and then expand beyond state lines. He points out that digital health records are revolutionizing cancer research by making it easier for scientists to analyze big databases. One database alone includes 50 million patient records. He goes on in the article to say that cancer research is moving from hypothesis-driven research to data-driven research and that mining the data will provide clues as to the causes of cancer. Zheng’s team has both the computer algorithms and computer storage – 1,000 terabytes – needed to analyze large data sets. TMC is the largest medical complex in the world, with 54 medicine-related institutions. These include 21 hospitals and eight specialty institutions, eight academic and research institutions, four medical schools, seven nursing schools, three public health organizations, two pharmacy schools and a dental school. 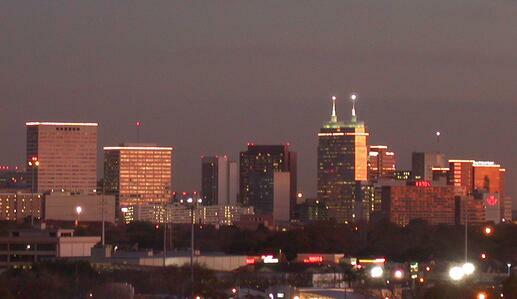 TMC is located in a 2.1-square-mile medical district and neighborhood in south-central Houston. It employs over 106,000 people, hosts 10 million patient encounters annually, and has a gross domestic product of $25 billion. 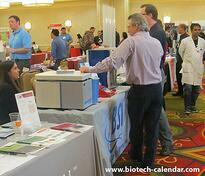 On Thursday, January 31, 2018 Biotechnology Calendar, Inc. will host the 18th annual BioResearch Product Faire™ at the Texas Medical Center in Houston. This event gives lab suppliers the opportunity to meet with over 450 active life scientists and increase their scientific sales. 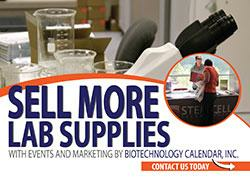 Lab or chemical supply companies interested in displaying and demonstrating their lab products should call (530) 272-6675 or click the link below. While in the area, make the most of your marketing budget by also attending the bioresearch product faire bing held on January 30, 2018 at Texas A&M, College Station. Life science researchers in the Houston area are invited to attend the event for free.